What Does Code P1296 Mean? 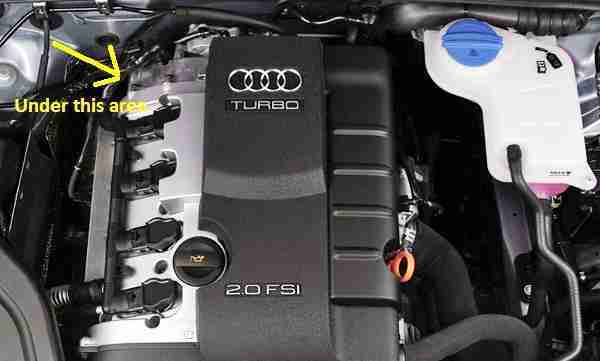 OBD II fault code P1296 is a manufacturer specific code that is defined by carmakers Volkswagen, Audi, and Volvo as “Cooling system malfunction”, and is set when the PCM (Powertrain Control Module) detects that the engine coolant does not reach a predefined temperature. Typically, this temperature is about 1750F, which the engine coolant should reach within a specified period of time- this period typically being about 16 minutes of continuous engine operation. As a practical matter, the temperature of the engine coolant plays a critical part in efficient engine operation, since the temperature of the engine has a direct bearing on combustion, both when the engine is hot and cold. Since combustion is relatively poor in a cold engine the PCM will as a rule, enrich the air/fuel mixture until the engine coolant reaches a temperature of about 1040 F to aid combustion. However, doing this increases emissions significantly until the coolant temperature reaches a minimum temperature threshold, upon which the PCM reduces the injector pulse width to decrease emissions and save fuel, since combustion improves when the engine is warm. In terms of operation, the PCM uses input data from a dedicated engine coolant temperature sensor to monitor the actual engine coolant temperature, which it compares with the desired coolant temperature that is based both on the time elapsed since the engine started, and the intake air temperature. In a fully functional cooling system, the circulation of the coolant in a cold engine is interrupted by the closed thermostat, which is basically a valve that is in direct contact with the coolant, and which opens when the coolant temperature reaches a predefined temperature threshold. Since the engine coolant is not circulating through the radiator when the thermostat is closed, the coolant absorbs the heat of the cylinder head relatively quickly, which has the practical advantage that the entire engine heats up sooner than would have been the case had the coolant been circulating. Moreover, since mechanical wear is also reduced when the engine is hot, the thermostat is set to open as soon as the coolant reaches its (the thermostats’) nominal temperature rating, which is also reflected in the reading on the engine temperature gauge in the dashboard via the engine coolant temperature sensor. This means that when the temperature gauge reads “NORMAL”, the thermostat should open, the coolant should start circulating through the entire cooling system, and the radiator fan(s) should activate to cool down the hot coolant. In a fully functional cooling system, all of the above should happen within a predefined period. However, when it does not and the coolant does not reach the desired temperature in the specified period, the PCM recognizes that the cooling system as a whole had failed and it will set code P1296, and illuminate a warning light to alert the driver that a malfunction had occurred in the cooling system. Where is the P1296 sensor located? The image above shows the approximate location (arrowed) of the engine coolant temperature sensor on a VAG-group (VW/Audi) FSI engine. Note that on Volvo applications, the location of the engine coolant temperature sensor varies greatly between models, so refer to the manual for the affected application to locate and identify the coolant temperature sensor correctly. What are the common causes of code P1296? P1296 or ABS ECU or Steering Wheel Squib / Angle sensor?